Big Brother: After Dark will no longer air on Showtime’s SHO2 channel. 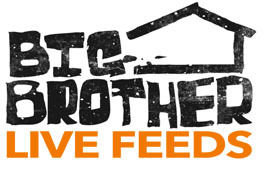 Instead, the live feed from the Big Brother house will air nightly on the TV Guide Network starting June 26th. In previous seasons, BBAD aired for three hours each night, whereas TVGN will only air two hours per night. One good tidbit from the press release states BBAD will air for 13 weeks. This potentially puts the finale around September 25th, possibly making this the longest season of Big Brother to date. Follow WeLoveBigBrother.com online and @wlbb on Twitter. LOS ANGELES – May 29, 2013 – TVGN today announced that it will become the exclusive television destination for BIG BROTHER: AFTER DARK, the live, late night companion show to CBS’s BIG BROTHER, one of television’s most addictive and socially engaged reality series. BIG BROTHER: AFTER DARK will feature a curated live feed from inside the BIG BROTHER house for two hours, seven nights a week (12:00-2:00 AM, live ET/delayed PT) for 13 weeks beginning Wednesday, June 26. In addition, BIG BROTHER: AFTER DARK telecasts on TVGN will be cross-promoted on-air within the BIG BROTHER broadcasts on the CBS Television Network. 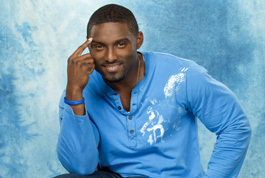 BIG BROTHER: AFTER DARK previously aired for seven seasons on the premium cable network Showtime. Now entering its 15th season, BIG BROTHER on the CBS Television Network will have a longer edition this summer with the new season premiering on Wednesday, June 26 (9:00-10:00 PM, ET/PT). It will be broadcast three nights weekly: Tuesdays (9:00-10:00 PM, ET/PT, beginning July 2); a live eviction show hosted by Julie Chen on Wednesdays (9:00-10:00 PM, live ET/delayed PT, beginning July 3); and Sundays (8:00-9:00 PM, ET/PT, beginning June 30). The Wednesday live eviction show will move to 8:00-9:00 PM, ET/PT on July 17. BIG BROTHER: AFTER DARK gives fans of the popular reality series an intimate, late night look at life in the ‘Big Brother House.’ The show features a curated live television feed from inside the house, where nothing is sacred and anything goes. BIG BROTHER is executive produced by Emmy® Award-winning producer Allison Grodner and Rich Meehan for Fly on the Wall Entertainment, in association with Endemol U.S.A.